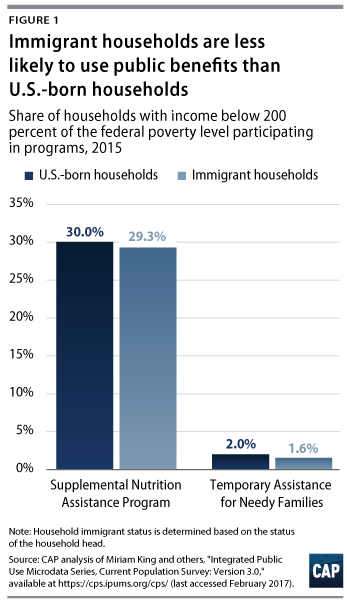 In 2012, native households in poverty consumed an average of $14,400 in welfare benefits, while immigrant households in poverty consumed "only" $13,100 of welfare. Does the $1,300 difference mean poor immigrants benefit American taxpayers? Of course not. 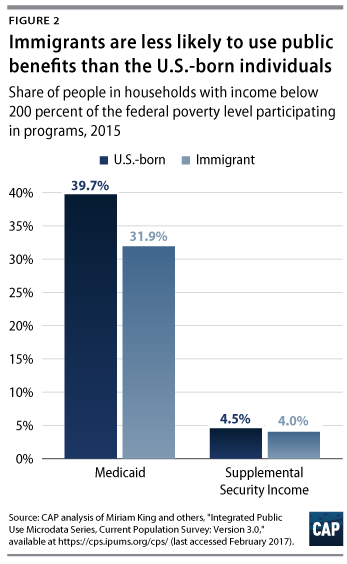 No rational immigration policy would favor poor immigrants just because their high consumption of welfare is slightly lower than welfare consumption by equally poor natives. Nevertheless, that is the logic of a report by the Center for American Progress (CAP) released last month. Written as a response to a potential executive order that would restrict immigrant welfare use, the CAP report focuses on the following claim in the White House's draft order: "Households headed by aliens are much more likely than those headed by citizens to use Federal means-tested public benefits." As we will see, the White House's claim is true. 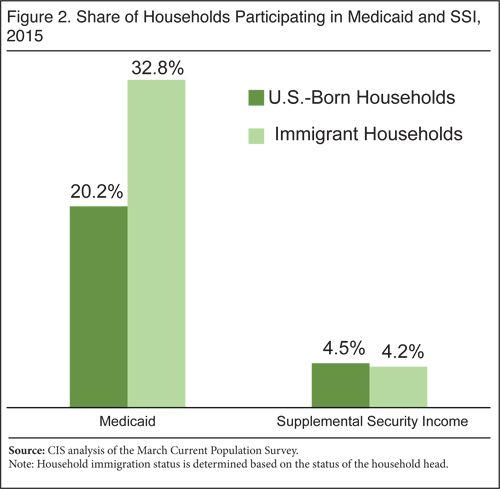 Nevertheless, CAP calls it "misleading rhetoric" and states that "working-class families headed by immigrants are Iess likely to access public benefits than working-class families headed by U.S.-born individuals." Notice the change? Rather than compare all immigrants to all natives — clearly the most policy-relevant comparison, and the one the White House made — CAP compares "working class" members of each group. At no point in the report do the authors reveal the broader comparison. 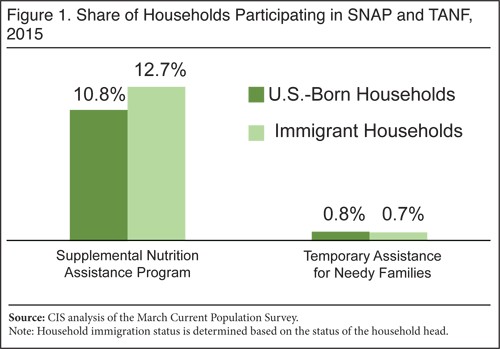 Once the poverty restriction is removed, immigrant households use supplemental nutritional assistance (food stamps) and Medicaid at higher rates than native households. 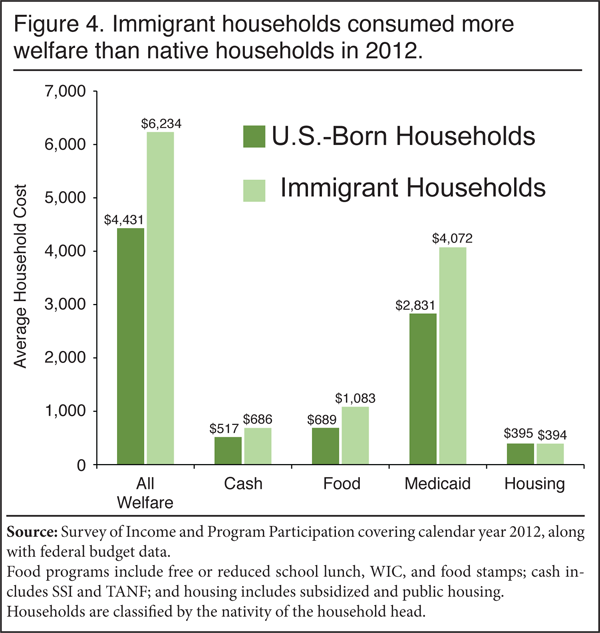 Just as the White House claimed, immigrant households consume more welfare than native households. Unfortunately, the mainstream media are captivated by the less-interesting "poor immigrants vs. poor natives" comparisons, apparently buying the faulty logic that poor immigrants are a fiscal boon as long as they do slightly better than poor natives. 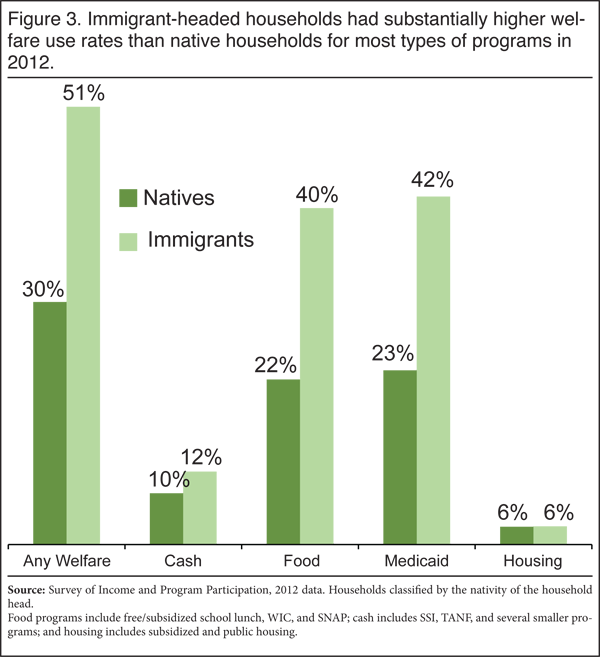 The fact that immigrant households are 50 percent more likely than natives to be poor in the first place, and thus use welfare at higher rates overall than natives, does not appear to interest them. 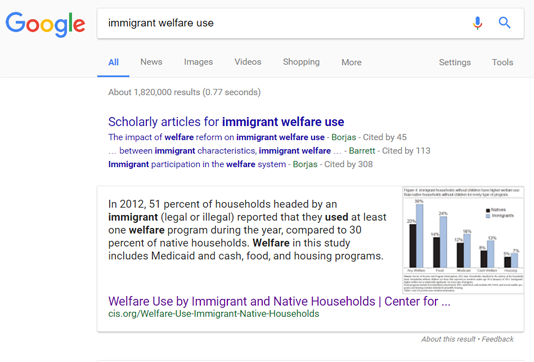 For example, here is how the Washington Post reported on the White House's draft order: "[It] provides no evidence to support the claim that immigrant households are more likely to use welfare benefits, and there is no consensus among experts about immigration's impact on such benefits." Instead, the Post reporters linked to a study from the Cato Institute that gives the same poor-vs.-poor comparison that CAP does. In an email to the Post reporters, CIS Director of Research Steven Camarota pointed out the irrelevance of the Cato figures and cited data comparing all immigrants with all natives. One of the reporters politely responded that she would look over this information, but she offered no further reply, and the article was never updated. Later, a Snopes.com "fact check" took inspiration from the Post article. "The executive order draft did not supply evidence backing the claim that immigrant households are 'much more likely' to rely on public assistance programs," the Snopes fact-checker wrote. "And a 2013 analysis from the Cato Institute found just the opposite." I informed the fact-checker that there is plenty of evidence to support the draft order's claim, that the quoted figures from Cato do not refute it, and that Snopes owes their readers a more balanced discussion. I received no reply, and the article was never updated.